Ousted Blaine elementary principal Troy LaRaviere wants to head the principals' association. It's time for a brief primer on the heated election for the presidency of an organization that until recently you probably never heard of—the Chicago Principals and Administrators Association. are Troy LaRaviere, the ousted principal of Blaine Elementary School, and Ken "Buzz" Hunter, the former principal of Prosser Career Academy. 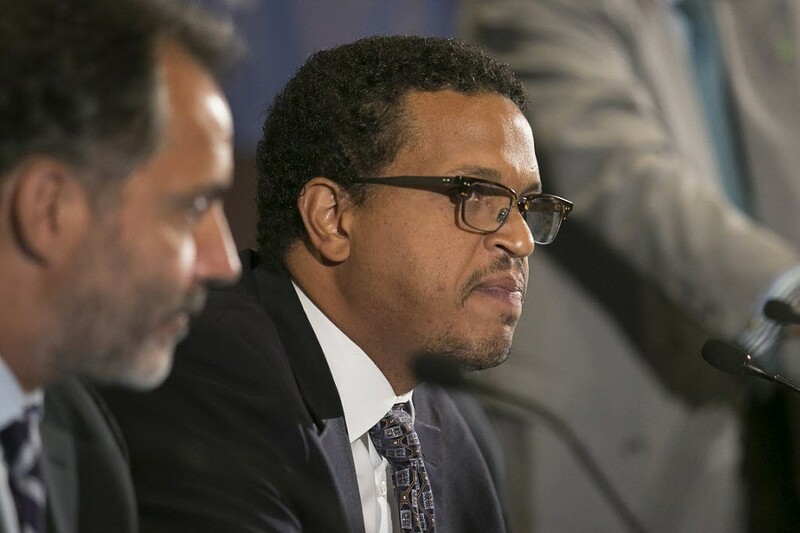 The mayor's school appointees reassigned LaRaviere—a high-profile critic of the mayor's school policies—for several unspecified reasons they may someday get around to revealing. Mail-in voting in the principals' race has now begun. 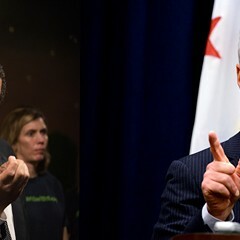 So the first question obvious to anyone even remotely familiar with Chicago politics would be this: Given the mayor's obvious antipathy to LaRaviere, is there any way Rahm can steal this election? I mean, let's be real—it's not like the idea wouldn't occur to him. Luckily the answer is no—unless the mayor can figure out a way to make sure the ballots are counted by Mellody Hobson, George Lucas, and Father Pfleger—his three closet allies in the Lucas Museum fight. At any rate, as its name suggests, the association in question is a group of CPS principals and administrators who are up-to-date on their $900-a-year membership dues. Up until now, it's been a quiet, relatively unknown group that's played little public role in educational policy debates. In fact, Janice Jackson, one of the mayor's top CPS appointees, is a voting member of the association—a point I'll get to in a moment. The association's profile will undoubtedly rise should LaRaviere win the election to succeed president Clarice Berry, who's stepping down. 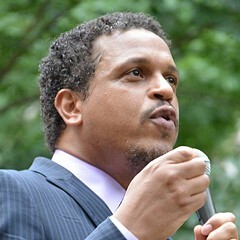 LaRaviere's a passionate and articulate opponent of the mayor's school privatization schemes, testing policies, and teacher evaluation system. As such, he's become public enemy number one, as far as Rahm's concerned. Well, maybe public enemy number two—just below the Friends of the Parks, the group leading the fight against putting the proposed Lucas Museum on a lakeside site. So here's another question savvy readers may already be asking: If LaRaviere is a vociferous Rahm critic, does this mean Hunter's running as Rahm's rubber stamp? To prove his point, he reminded me that he publicly fought the mayor's decision to stick a charter school across the street from Prosser, and that he supported Jesus "Chuy" Garcia for mayor. Also, he's proud to point out that two years ago he produced a pretty funny anti-Rahm rap video that features the following great line: "I will not vote for Rahm Emanuel because I'd rather support a cocker span-ue-el." Moreover, he thinks the mayor's sort of a jerk, to put it mildly. "The first time I met Rahm was when he was running for mayor [in 2011]," says Hunter. "I told him the local alderman was on my local school council at Prosser. In the course of our conversation, I repeated that information. He turned to me and said, 'That's the second time you mentioned that to me.' And I thought—'You prick. I'm trying to be courteous and I'm trying to be nice. And you're a prick.'" This is actually round two in the Hunter-LaRaviere matchup. 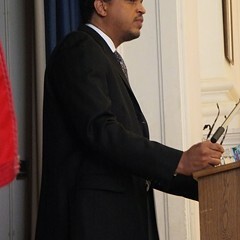 Round one came in February, when the association's governing board slated LaRaviere over Hunter to run for president. Because he wasn't slated by the board, Hunter had to gather at least 50 nominating signatures from members in order to run. That's the same Janice Jackson who showed up at Blaine last week to try to convince an auditorium filled with LaRaviere supporters that politics had nothing to do with the principal's removal. A feat she managed to accomplish without cracking up. So, Ken, why would you ask Janice Jackson—of all people—to sign your nominating petition, if you're running as an independent? "Give me a break," says Hunter. "I was at a meeting and I saw her and I asked her to sign. That's all there was to it. But to hear Troy talk about it, you'd think I was on the grassy knoll." Hunter's referring to a blog post written by LaRaviere. In that post, LaRaviere broke the news that Jackson and Denise Little—another high-ranking CPS official—had signed Hunter's nominating petition. Are you following all of this? I know, I know—things are always so complicated in Chicago. Anyway, current association president Clarice Berry's very upset with LaRaviere for revealing that Jackson and Little signed Hunter's petition. "I'm writing a letter to the members of the association apologizing for that [post] even though I had nothing to do with it," says Berry. "Any member who signed a petition is entitled to privacy. I'm extremely upset that their privacy was violated. And I let Troy know this." For his part, LaRaviere says he can understand there are privacy issues at stake with a private association. But there are extenuating circumstances in this situation, he says. "Janice Jackson is the same mayoral appointee who came to my school [Blaine] to try and convince the community that I should be removed," says LaRaviere. "That's worth noting. Don't you think?" Well, since you asked: It does seem bizarre—even for Chicago—that Rahm's chief educational officer would get to vote for the president of the principal's association. "No, not at all," says Berry. "It's also an association of administrators. Janice Jackson has every right to participate in our activities." In any event, it is, as I said, an election by mail. The association has mailed ballots to its members, who have until May 18 to send them back. On May 19, the votes will be counted at the association's headquarters, by a panel that includes representatives for LaRaviere and Hunter. So, as I said, it's going to be very difficult for Mayor Rahm to steal this election, no matter how much he may want LaRaviere to lose. Looks like the principals—and a few of their administrative friends—will have to chart their own future.